It turned out to be one of the most valuable experiences of my career - learning how to function in incredible uncertainty, with significant risk, being the underdog, and a real sense of ownership in how the company fared. Every decision at least seemed uber-important to the handful of us involved in the business. And, in spite of a couple of missteps along the way (there's a future post idea)... it was a success. Moreover, while my engineering degree taught me how to attack any problem without fear, the startup experience trained me to put risk into perspective. I thank my partners for invaluable lessons in building a company from the ground up, and believing in a 22 year old college senior to help start this venture. 8 years later, selling our company to GE Healthcare was a huge validation of the technology, acceptance, and customer base we built over the years. The level of excitement I had for becoming part of that institution was immeasurable. I read every book Jack Welch had written, and really worked to understand this vastly different culture. In a lot of ways it was a great new world, with a metrics-driven decision approach and emphasis on process - very counter to my entrepreneurial experience. At the same time, it was totally overwhelming to attempt to "assimilate" as 1 in a company of over 300,000 employees with a very different culture: learning unique ways of working in a matrix, understanding other team's motivations, trying to collaborate across silos, or simply figuring out what people are saying in GE acronym speak. (I know several colleagues were placing bets on my date of departure). As excited, motivated, and ambitious I was, the first year was brutal. The first few months are like a trapeze act... As a business owner, one still feels an obligation to customers, colleagues and employees, and the business as a whole, and of course, now to a new parent company as well. Still somehow feeling that you didn't fit in, but trying your best because you know there are still great lessons to be learned. And then it happened... a very wise executive had the insight to introduce me to the right role with substantial risk and a healthy dose of uncertainty. It wasn't until joining this new entrepreneurial initiative inside of GE that I felt truly comfortable and that I was doing what I was meant to do. This team was motivated towards some very lofty and potentially unattainable goals, working across functions and regions - and similar to my startup experience, most colleagues outside of this bubble expressed their thoughts that it was surely doomed to failure, even if we secured business. Many people opted not to join the team for fear that it would be shut down just as quickly as it started up, and opted for the safer path. But with the ongoing support of executives that bought into the vision, a team that was exceptional and unstoppable, combined with a market truly primed for a new solution, it was a success. My mantra is still: Everyone is in sales - no matter the job function! As you may expect, the entrepreneurial bug bit again, this time for a brand new venture of my own: Dynamk Consulting. And while GEtting out into the world of new challenges has been exciting most of the the time, a little bit daunting occasionally, above all, its incredibly rewarding because of the lessons and skills learned alongside some really exceptionally talented and driven individuals at GE. A former colleague recently posted, and it inspired me to reflect on the experience at GE. Deepest thanks to amazing group of professionals at GE, in every function and region! Thank you, Danke, Obrigada, Merci, Tack så mycket, Teşekkür ederim, Xie Xie! 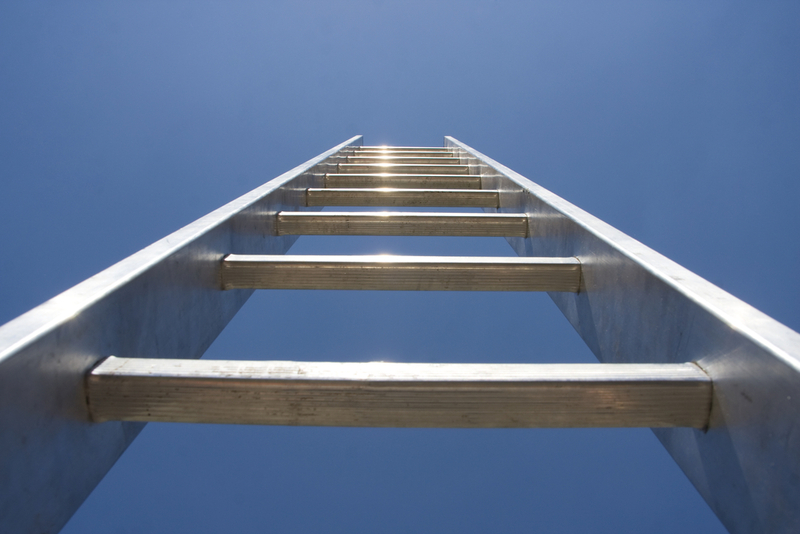 Sometimes you need to take the risks that no one else will take, and climb your own ladder. Even if you fail, you'll gain the experience and perspective to tune in and manage your reactions to uncertainty, and build a comfort level with risk that you can learn to embrace and leverage for your next endeavor. Daniella Kranjac’s mission is to help companies reach their full potential through strategy, business development and flawless commercial execution. She is the CEO and Founder of Dynamk Consulting and a Co-Founder and Managing Partner at Dynamk Capital a soon-to-be-launched boutique opportunity fund investing in US-based companies in the technology, life sciences and consumer products sectors. She was Vice President & Co-Founder of Wave Biotech LLC, and held several Business Development & Commercial leadership roles at General Electric Life Sciences.